If you need a reliable notebook for everyday business use, choose the Fujitsu LIFEBOOK S752. 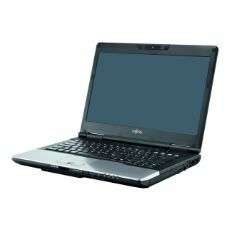 Its 14-inch display and useful interfaces offer you convenience in the office. The extendable modular bay for a second battery or hard disk drive lets you increase storage or battery runtime, providing enhanced flexibility. Multiple connectivity options and excellent energy efficiency complete the package.